Looking at the canvas it’s impossible to tell what has gone on in the previous layers of paint. I had scratched off any build up of dry paint from before so it’s all smooth. And here’s the full painting. Update 27/03/13 the work done on the face is starting to be worth the effort now. Still not perfect, too happy looking at the moment but the likeness is getting closer. I have a few days off from the day job which I am using as a finishing off week. 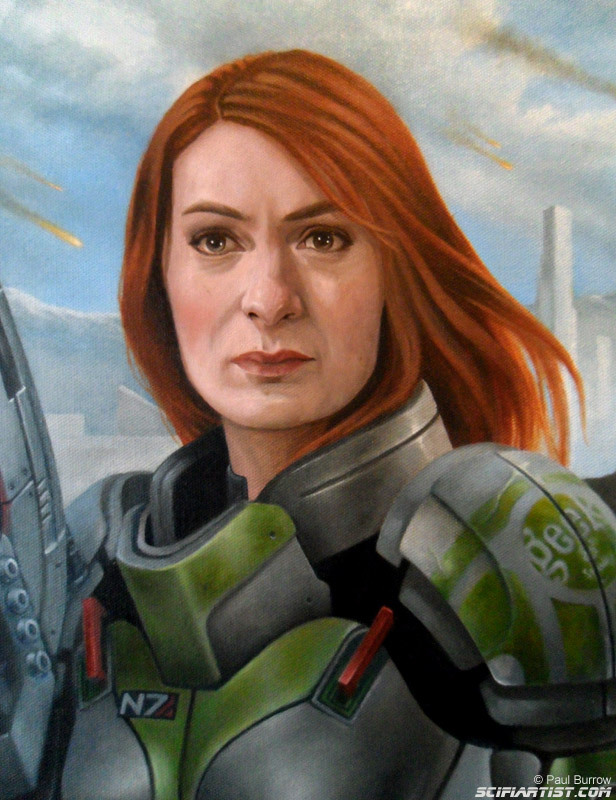 Felicia day Shepard from Mass Effect is a definite to finish this week in time for the Geek & Sundry 1 year anniversary. I shall be adding the G&S logo onto the armour before it’s finished. 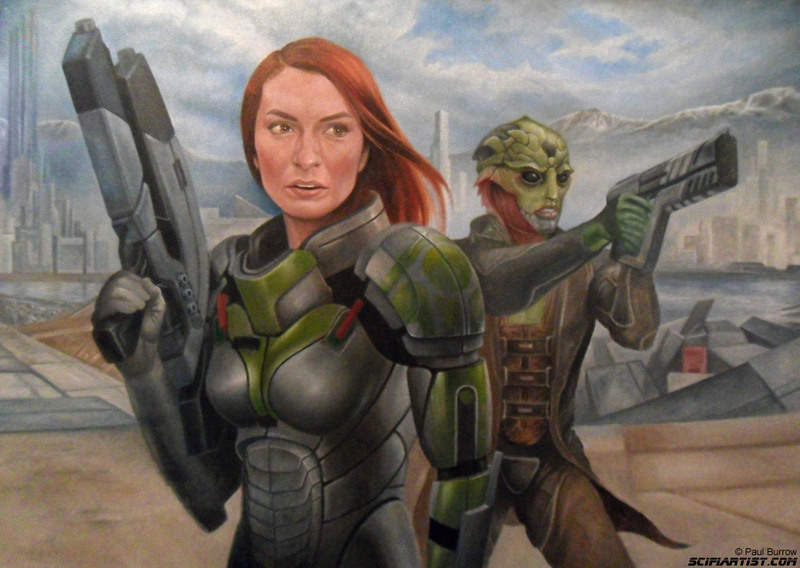 Anyway you’ll notice the face has changed again slightly as I’m still not happy with it. Getting better now though. Latest update number 14. Fireballs painted into the sky 3 days before the Meteor flew through the Russian sky. Not saying I predicted it but… 😀 Work done on the gun and armour also. Latest update number 13. Distractions have kept me away but I’m back and close to the finishing line. 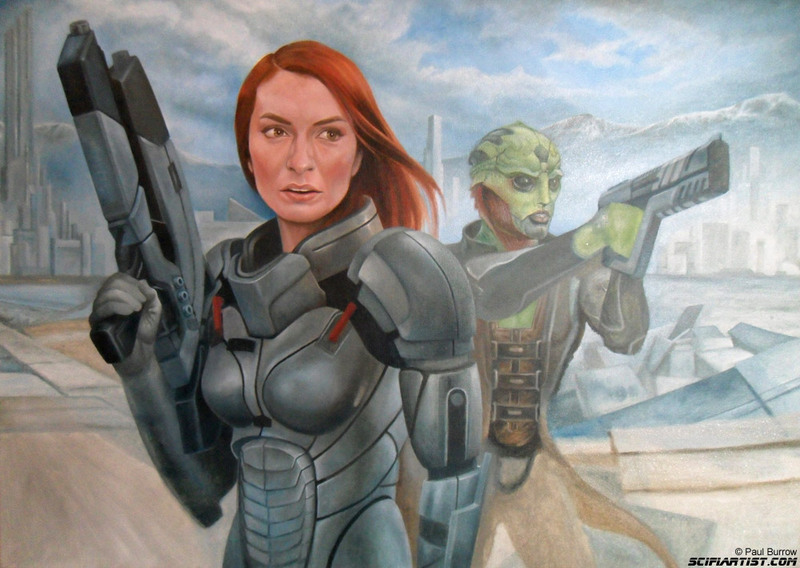 The most fun part for me is finishing off the painting with detail and lighting. I’ve started on the armour now. Update number 12. The final push. No more white space left on the canvas. Time to refine and balance the whole thing out, then add those final details to finish off. 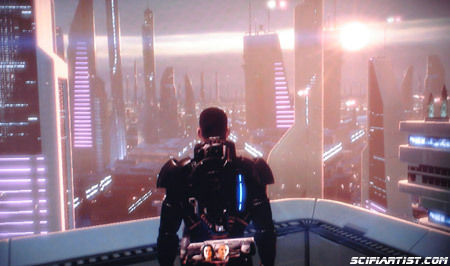 I’ve just finished playing Mass Effect 2 on the Xbox 360 plus nearly all the extra downloadable content http://masseffect.bioware.com/. The attention to detail in characters and environments is truly stunning. Definitely worth a replay or 2 making different decisions next time round. For those that do not know Mass Effect 2 is a sci-fi adventure/rpg/action game where you play the role of commander Shepard and lead a team to stop the reapers from destroying civilisation as we know it. The journey takes you across the galaxy and every decision you make can have lasting consequences for yourself, your team and the fate of mankind. The first Mass Effect game was the reason I bought an Xbox 360. Having played, and thoroughly enjoyed, Knights Of The Old Republic on PC also created by Bioware. I love the way Bioware create characters you actually get attached to and care about. 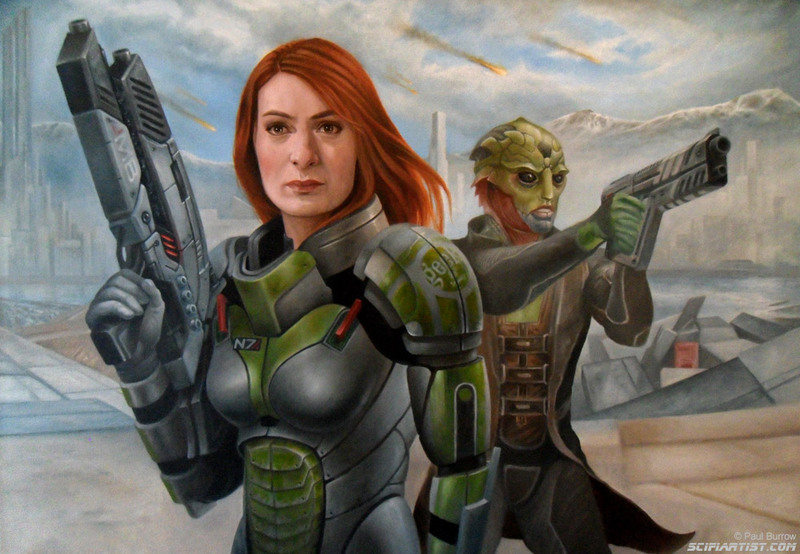 It sounds weird to say that about a video game character but that’s how good they are at creating new worlds, with characters and storylines better than most Hollywood movies. I imported my commander Shepard from the original game into Mass Effect 2. This meant that decisions I made in the first game carried through to the second which was a nice touch as throughout the game you bump into people you have either helped or upset from the first game. 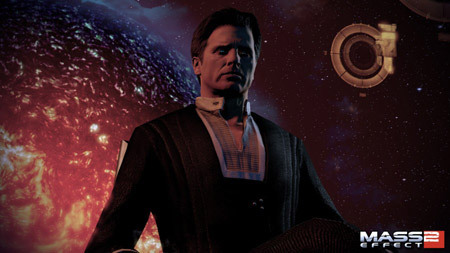 There is a strong cast of voice actors in this game including Martin Sheen as the illusive man. 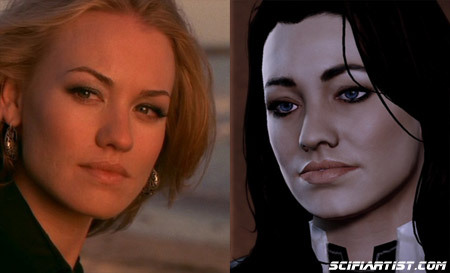 I thought throughout the game that Miranda looked really familiar and when I looked into to the character I discovered she was played by Yvonne Strahovski AKA Sarah Walker from TV series Chuck. 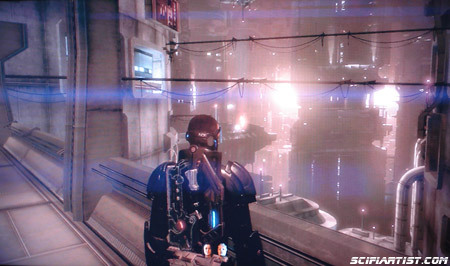 The game itself is visually stunning, from the futuristic neon lit cityscapes of Illium to the desolate final resting place of the original Normandy ship, every inch of every planet is beautifully formed. Hats off to all the artists involved, it must have been fantastic to work on such a project! If you ever need a sci-fi artist I will drop everything to be a part of your team:D.
As well as playing through the storyline of the game I like to have a wander around everywhere. Walking into a nightclub is great and you can even boogie on the dancefloor. It reminded me of the original Deus Ex in Chinatown where I liked to go through the nightclub with a flamethrower and scorch the occupants. 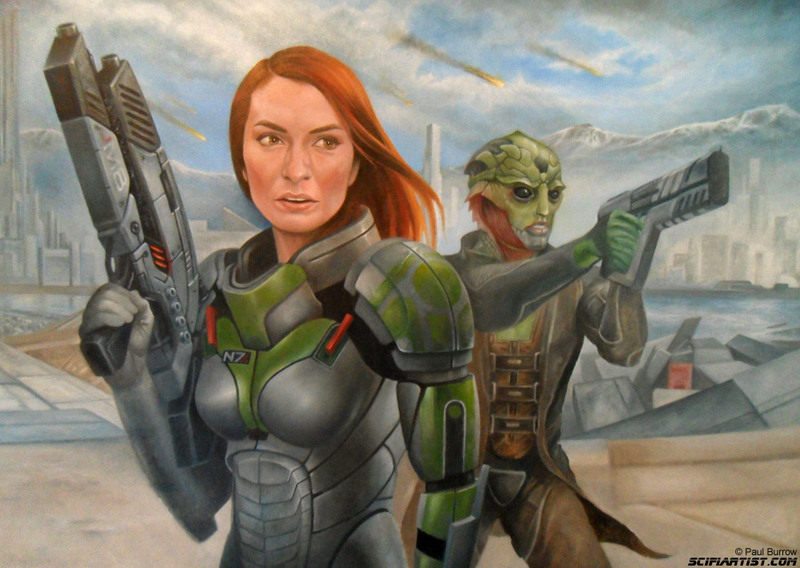 This is not an option in Mass Effect as you cannot draw your weapons whenever you like. 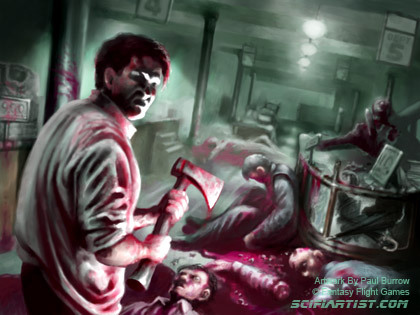 (I’m not a psychopath by the way but I did do a trading card for FFG called psychopath). Here are some more screenshots. Have a drink and a lapdance at the Afterlife club. 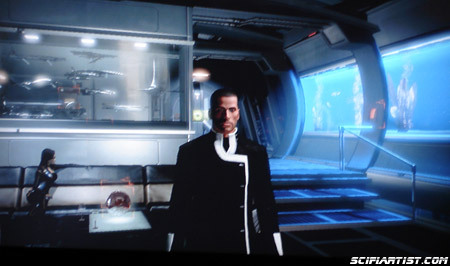 Shepard has his own batchelor pad on the Normandy 2. As you progress through the game you can buy pets such as fish and a space hamster. You can also pick up some model ships on your travels to display in the cabinet. Miranda can also come round to visit. 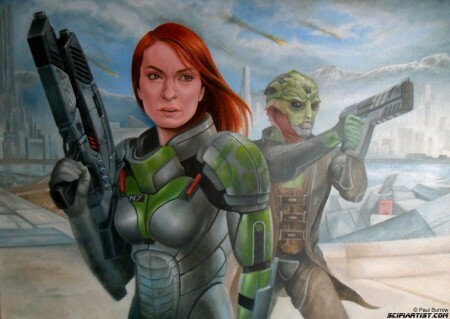 I really enjoyed Mass Effect 1 & 2 and recommend them to all sci-fi gaming fans out there. I completed the game with all my characters surviving the suicide mission. I decided not to destroy the reapers base at the end of the game, I kept it for research to defend against the reapers in Mass Effect 3. Let’s hope the illusive man doesn’t use it for his own benefit!